Software: NetEnt, Microgaming, Play n Go, Amatic, BGaming, Endorphina, Elk, EGT, Evolution Studios, Pragmatic Play and YggDrasil. 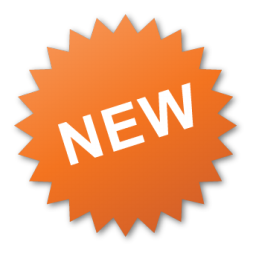 Offers withdrawals within minutes and is on our fast paying casinos list. 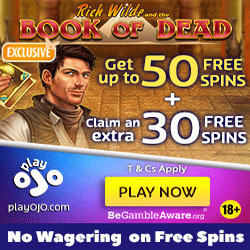 Cool reward concept with generous free spins and bonuses when various levels are reached. Great selection of games from NetEnt, Microgaming, Play n Go, Amatic, BGaming, Endorphina, Elk, EGT, Evolution Studios and YggDrasil. No deposit or withdrawal fees. Does not accept players from UK, Australia, Curacao, Netherlands, France, USA and Spain. The 20 Free Spins can be played on YggDrasil slot Jungle book. For countries where YggDrasil is a unavailable, the free spins can be played on Aztec Magic deluxe. 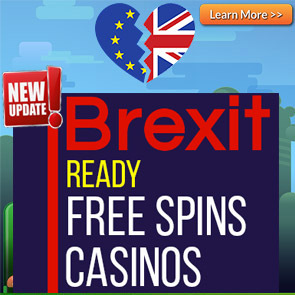 You can activate the 20 Free Spins in the Bonus section of your account. The offer is only available to players 18+. 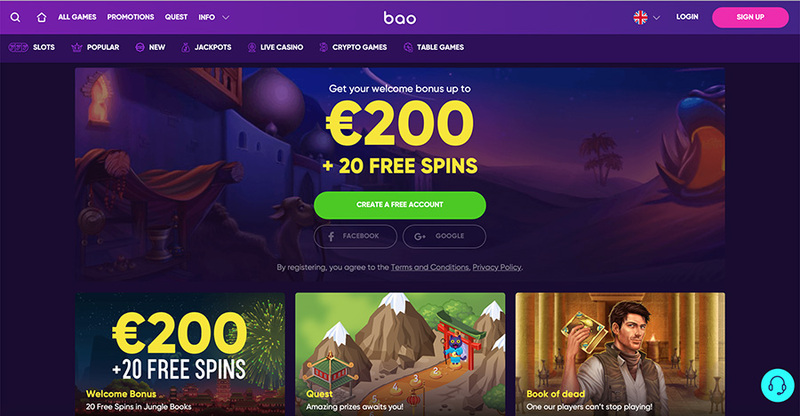 The max bet when playing with a bonus is €5. The bonus comes with wagering requirements of 40x. Maestro, Paysafecard, Sofort, Visa, Bitcoin,Interac, EcoPayz, Ethereum, Zimpler, GiroPay, iDebit, Mobile commerce, instaDebit, Bitcoin Cash, Neteller, Dogecoin, Rapid Transfer, Litecoin, MasterCard, Neosurf, QIWI, Skrill, Yandex. USD, EUR, UAH, CAD, NOK, RUB, BTC, BCH, LTC, ETH, NZD, AUD, DOG.